After she had her first child, she felt as though she was called to do something more, and eventually found herself working in home staging for real estate. Quickly, she discovered that she had a gift: the ability to take what she calls “pain points” from people. In other words, she realized that she had a knack for creating really inviting, personalized spaces. 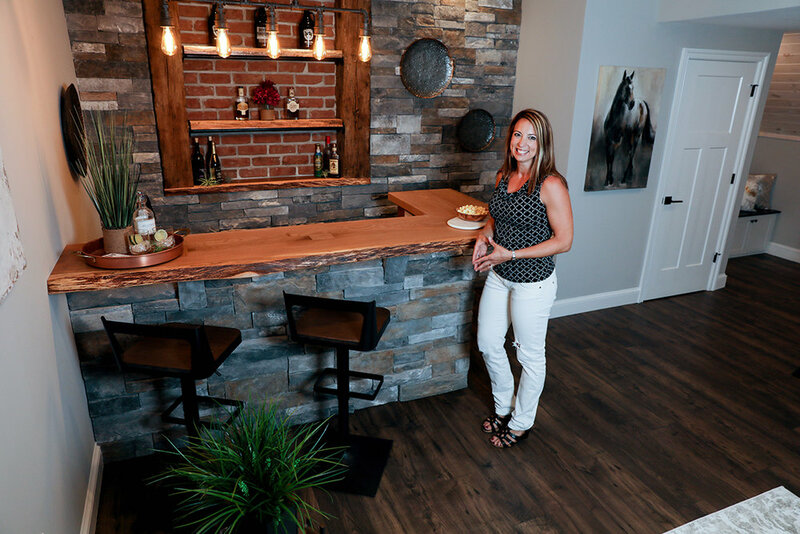 That spiritedness from her childhood certainly lends itself to her life now, as she works with clients who are interested in transforming either their homes, professional offices or work spaces. Aime says her company’s goal is to help with decisions that could “create stress and anxiety inside the home or office,” and to work as efficiently as possible to make their clientele’s dreams into reality. Another important point that Aime brings up is that she works with many different budgets, and strives to make comfortable living a reality for people with different means. A detriment to that? The abundance of home-renovation shows on TV, and the expectations they give people who are going into it for the first time. “An hour show doesn’t show all the hurdles that the last three months may have brought to those people, and only shows the highlight reels, with some drama,” she explained. “Costs also fluctuate depending on where they are in America. For example, some areas of Texas are grossly less expensive in comparison to some areas of California.” Aime says that discrepancy is the biggest misconception in her industry, and feels that it is important for expectations to be discussed up front. As for the future, Aime says her long-term goal is to be “the most sought after design company” in Lancaster, not only because of her desire to serve and help others, but also because of how generous and efficient she is with other people’s time. She also looks forward to bringing on an architect and becoming a “one-stop-shop design firm.” Personally, Aime aspires to “helping women gain confidence in what they can achieve,” as well as “helping to develop their strengths, talents and leadership abilities,” and for that, she’s already a prime example.